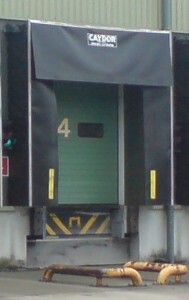 Lotinga Industrial Doors® covers mainly Kent, London, Sussex and Surrey. We pride ourselves on our professional, friendly approach and will always endeavour to give the best advice. 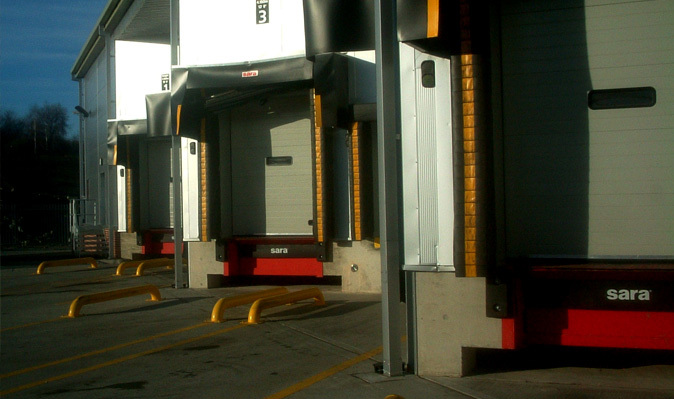 Designed to act as a bridge between your vehicle and the floor of your premises; Dock Levellers are an ideal solution when there are differences in floor height. They allow smooth and safe transfer of goods, bridging the gap between vehicle and opening. 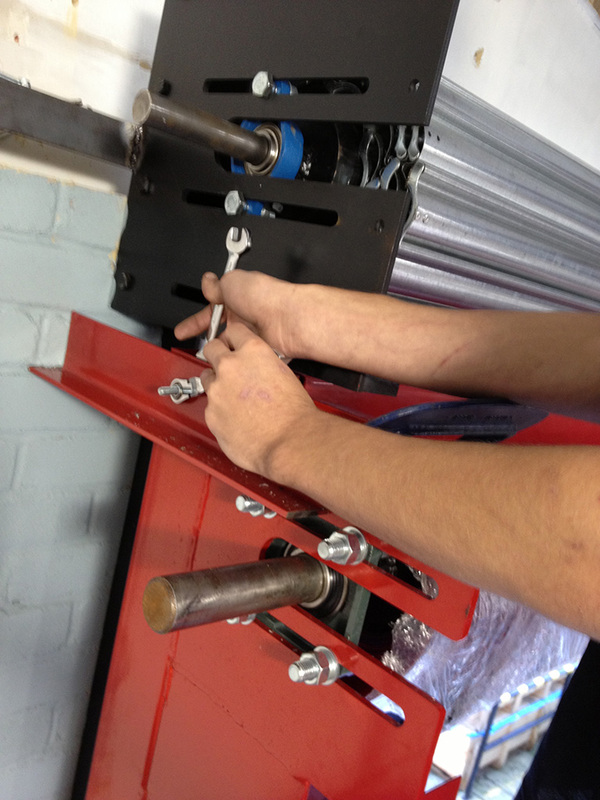 Available in either standard hinge lip or telescopic, extended lip types. 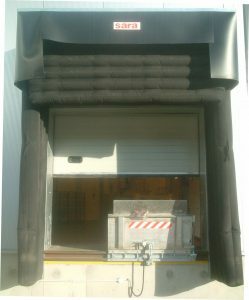 Dock Shelters provide protection from the weather whilst loading and unloading your vehicle, they also help to prevent drafts into your building. The most commonly used are retractable sock shelters allowing the shelter to retract against the building in the event of vehicle contact. Being part of the Machinery Directive, these dock levellers and shelters must be serviced at least once a year. See our Safety and Legal page for more information. To help our customers financially meet their obligations, we offer a Service Agreement Facility; this entitles the holder to discounts off Servicing and also Scheduled Repairs.